“With 6 kidnapping incidents in the first quarter of 2016 alone, and a steady rate of attacks and kidnappings through the writing of this report, it is clear that efforts to combat piracy in the region have successfully reduced incidents of hijacking for oil theft, however, much more remains to secure seafarers from the threat of kidnapping,” OBP said. According to the report, the surge in kidnappings could be related to the political situation in Nigeria, as well as a decline in oil theft due to a drop in oil prices, making the stolen cargo less profitable. Kidnapping for ransom incidents, which are heavily concentrated off of the Niger Delta region, particularly in areas with significant levels of offshore oil production, made up the majority of successful incidents in 2015. 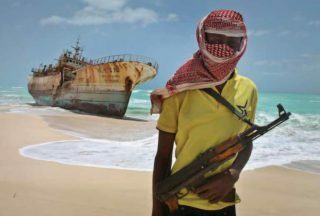 However, the rate of hijacking for cargo theft dropped from years past as only one vessel was hijacked and had its cargo stolen, though there were several other instances in which pirates were likely attempting this type of attack. According to the report, the improved patrolling of Nigerian waters and the drop in oil prices were the main reasons for the decline. Gulf of Guinea pirates and robbers also significantly expanded the types of vessels targeted. While tankers were targeted in more than 50% of attacks in 2014, this percentage dropped to 18% in 2015. While the total number of incidents in 2015 was less than in 2014, the human cost—both in terms of casualties and severity of incidents, as well as the aggregate number of seafarers affected—was higher. In total, 23 seafares were killed, 4 sustained major injuries, and 15 others received minor injuries, while 44 were kidnapped, 11 threatened, and 58 were forcibly detained during hijackings for cargo theft, robbery, or use as a mothership. During the year a total of 54 attacks were reported, as opposed to 67 in 2014, according to OBP’s dataset, which excludes reports of incidents occurring while vessels were berthed and incidents not requiring the perpetrators to utilize a boat to approach the victim vessel.